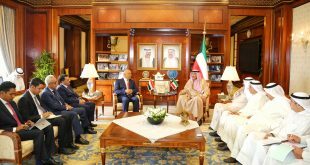 KUWAIT CITY, Dec 29, (Agencies): Kuwait has decided to send troops to its neighbour Saudi Arabia to resist cross-border attacks by the Yemeni Houthi movement, the Kuwaiti daily al-Qabas reported on Tuesday citing an informed source. 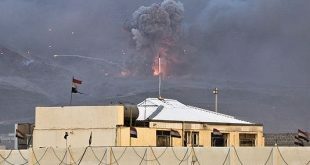 Though a nominal member of a Saudi-led coalition that has bombed the Iran-allied Houthis for nine months, Kuwait has held off sending ground troops to the conflict in which scores of soldiers from neighbours the United Arab Emirates, Bahrain and Saudi Arabia have been killed. “Kuwait decided on the participation of its ground forces, represented by an artillery battalion, in operations to strike at positions of Houthi aggression against the Kingdom of Saudi Arabia,” the paper said. The Kuwaiti foreign ministry did not immediately respond to requests for comment. Meanwhile, Bahrain announced on Tuesday the death of two of its soldiers while they were serving in the Saudi-led military campaign against Iran-backed rebels in Yemen. Captains Ahmed Mohammed Ameen and Mubarak Sa’ad al-Rumaihi died “in an incident on the southern borders of Saudi Arabia,” the Bahrain Defence Force general command said in a statement. More than 80 people, including civilians, have been killed on Saudi Arabia’s southern front with Yemen since coalition forces launched a campaign in support of the war-torn country’s recognised government in March. 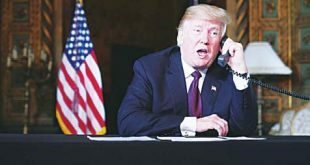 But the statement published on the official Bahrain News Agency did not say whether the pair had died in an accident or an attack, and did not say when the incident took place. The latest deaths raise to seven the total number of Bahraini troops killed since March as part of the coalition. Saudi Arabia and the United Arab Emirates, which play key roles in the coalition, have lost the most troops in the campaign. One Qatari soldier has also died. Relief groups in Yemen’s third city Taez said Monday that humanitarian aid was not reaching the provincial capital under rebel siege. “No aid has arrived in the besieged city,” a member of a local medical relief committee told AFP. 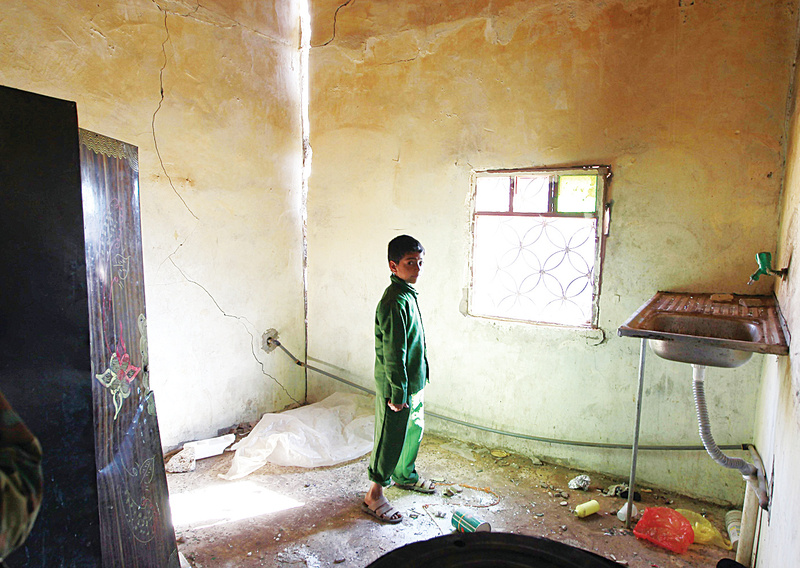 “We heard there is aid entering areas outside the city… controlled by those besieging us,” Mohammed al-Qobati said. The World Health Organization said last week it had managed to deliver more than 100 tonnes of medical aid in Taez province to benefit more than a third of “3 million people … in dire need of humanitarian assistance”. But the delivery of 22 tonnes of medical aid to five health facilities in Taez city was “on hold due to access issues,” it said. 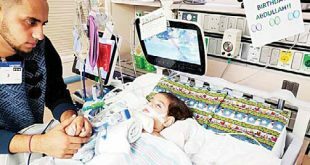 “There is a lack of medicine and oxygen cylinders,” Qobati said. “Taez is living a real catastrophe.” The southwestern city’s largest hospital, Al-Thawra, closed on Friday after running out of medical supplies and surgical equipment. Its 600,000 residents are in desperate need and many have taken to treacherous mountain paths to bring in essential goods. 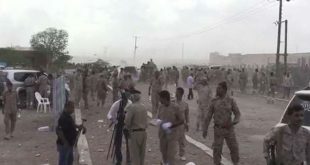 They have been caught in the crossfire between loyalists to Yemeni President Abed Rabbo Mansour Hadi who are defending their positions in Taez and Shiite Huthi rebels who have encircled them. Abdulkarim Shamsan, the head of a coalition of local aid groups, said the city had also not received any food supplies. “The aid is being given away to those who are killing us,” Shamsan told AFP. “The militias have tightened the noose on Taez, stopping the entry of people on foot and confiscating anything they are carrying,” he said. The conflict in Yemen has escalated dramatically since Saudi-led air strikes began in March, with more than 5,800 people killed and 80 percent of the population in need of humanitarian aid. Struggling under the weight of gas canisters, plastic sacks and cardboard crates stuffed with necessities, residents of Yemen’s Taez have taken to treacherous mountain paths to bring essential goods into their besieged city. Radical Islamist gunmen shut down three faculties at Yemen’s University of Aden on Tuesday in an attempt to force students to observe segregation of the sexes on campus, witnesses said. The incident was the second of its kind in recent weeks in Aden, Yemen’s second city, where the presence of jihadist groups is growing as the embattled government struggles to spread control. The gunmen, some of whom were masked, forced the students out of the faculties of administrative sciences, law, and engineering, before locking down the gates, students said. “They dragged us out of the exam halls,” said one of the students. “They detained two students who were filming the incident.” Students said the gunmen shouted: “No mixing. We have warned you before,” and added that the authorities did not intervene to stop the extremists. It was not immediately clear what group the gunmen belonged to but witnesses and local residents said they were loyalists of Ayman Askar, a local militia leader known for his links to both al-Qaeda and the Islamic State group. Askar’s militia is influential in Aden’s district of Madinat Asha’ab where the faculties are located, according to residents. Last month, radical gunmen also entered the faculty of administrative sciences in Aden and closed it down after threatening to use force against students if they did not observe segregation of the sexes. Al-Qaeda in the Arabian Peninsula (AQAP), long active in Yemen, and the newly emerged IS appear to be vying for influence in the main port city. Fighting between Iran-allied rebels and Saudi-backed loyalist forces has plunged impoverished Yemen into chaos, which jihadist groups have exploited to make sweeping gains, particularly in southern regions. 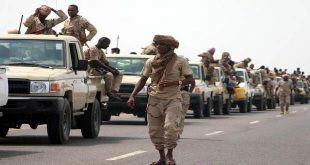 The extremists are occupying government buildings and are frequently seen patrolling several districts of Aden. They have carried out several deadly attacks, assassinated government officials, and intimidated civilians.